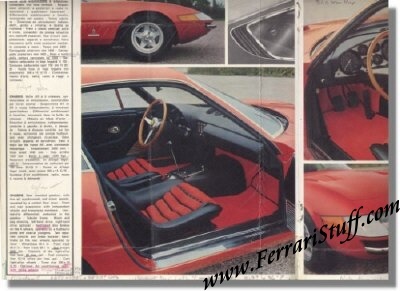 Ferrari factory original 1968 Ferrari Daytona Coupe Sales Brochure. Pretty rough condition with lots of notes and apparently has been taken apart and has been put back together again, has been taped in various spots and has notes and corrections throughout it. It could very well be that this one has been used as a correction copy for the 28 Gallons version. Languages: Italian / French / English. It measures approximately 9 x 9 inches. Typical late 1960's formats with odd folds and flaps. 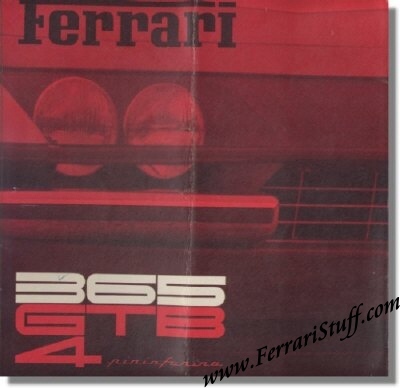 Ferrari Print Number 25/68, issued in 1968, printed in Italy by Calderini, Bologna.